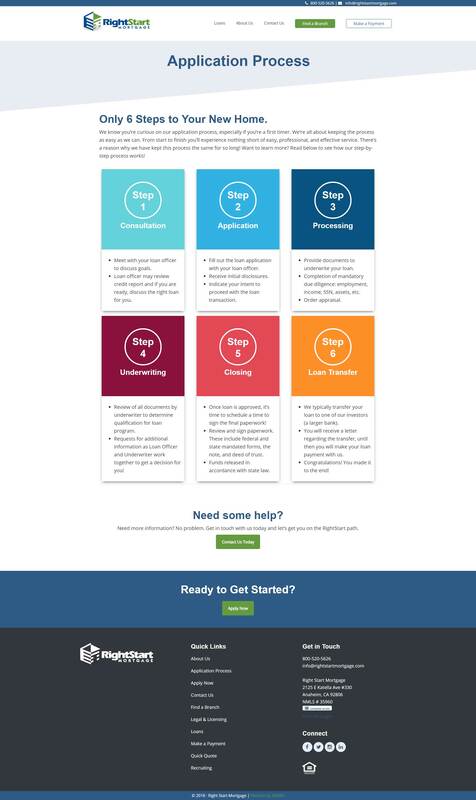 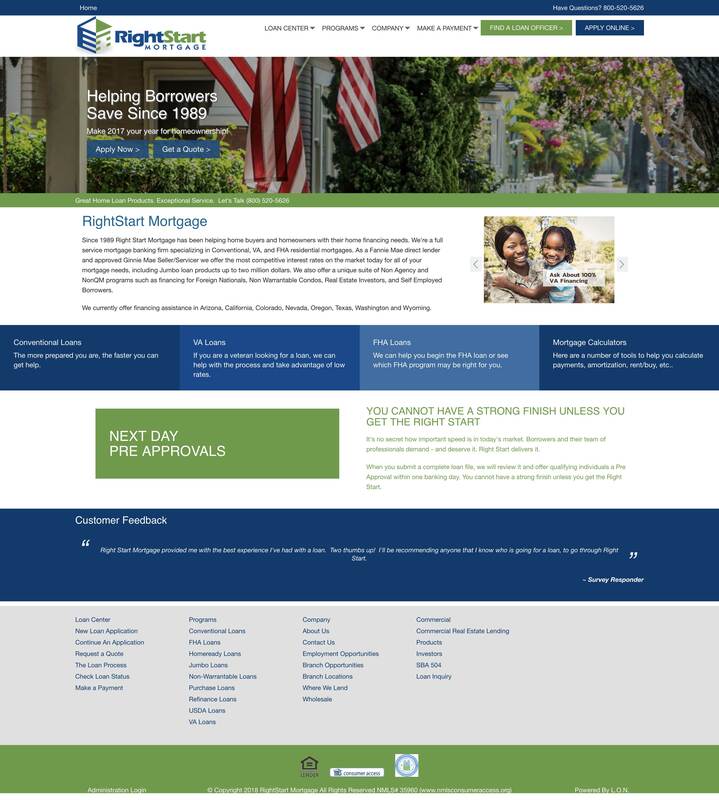 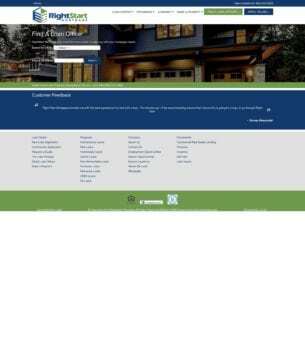 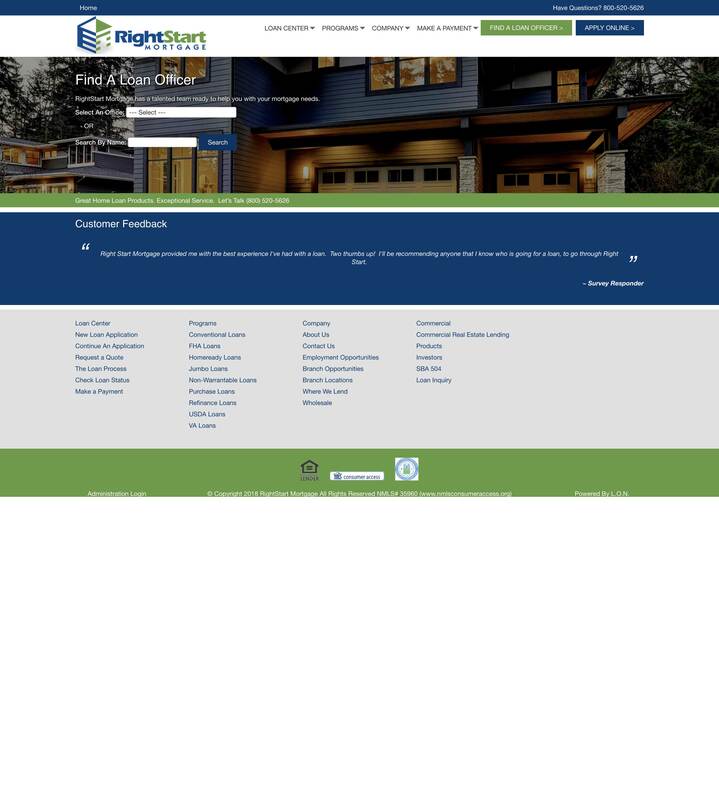 There were a few things that Right Start needed their website to be able to do to help them sell mortgages, and their recent website did none of them well. 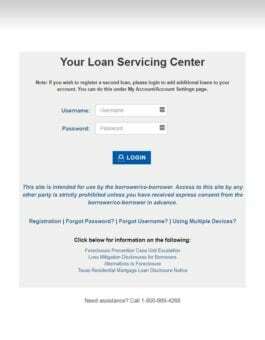 While they could look at the loan offices, they couldn’t see which agents were at each office, and if they didn’t already know the name of the officer they couldn’t find them. 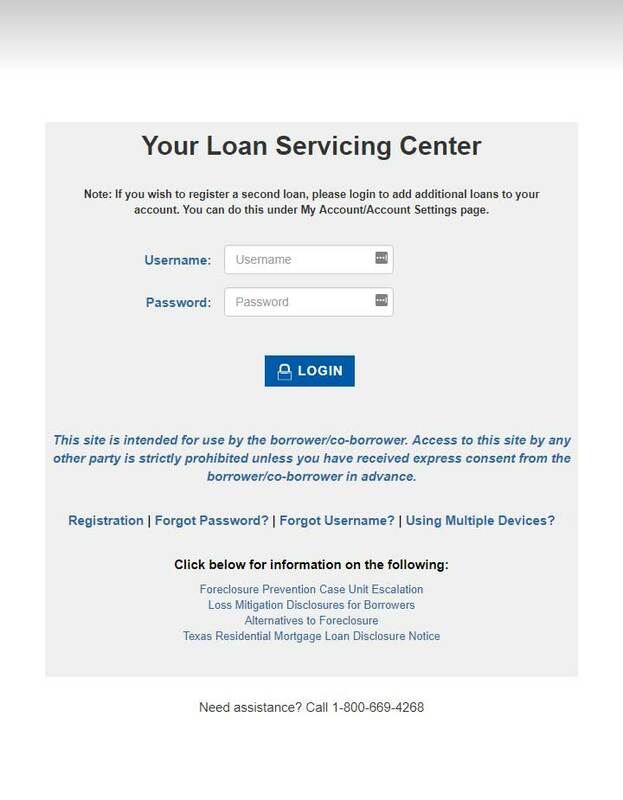 People had to submit something to the contact form about where they were and have someone manually send a message to them about the loan officers near them! 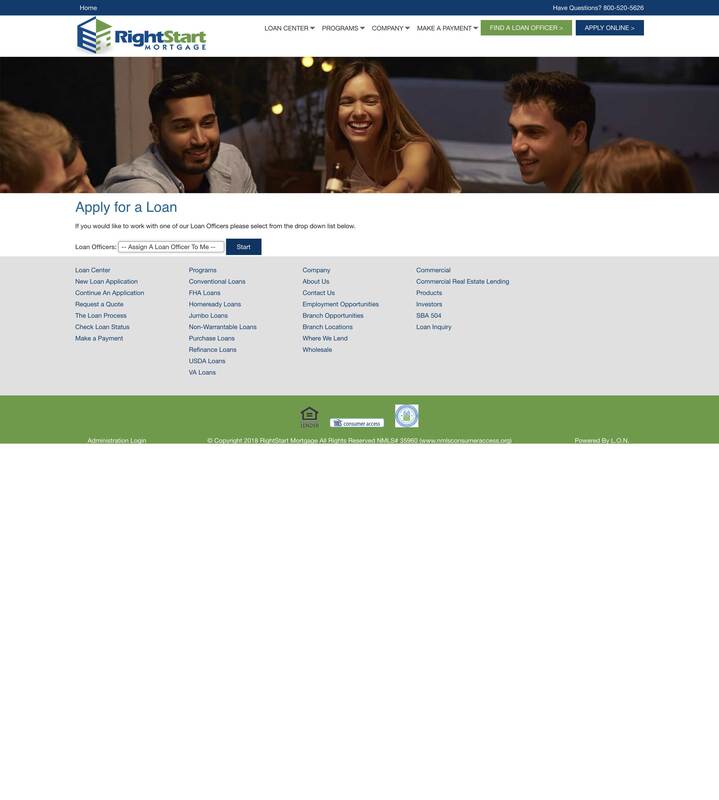 The user interface was poorly designed, and people who were looking for a mortgage were starting to look to their competitors instead. 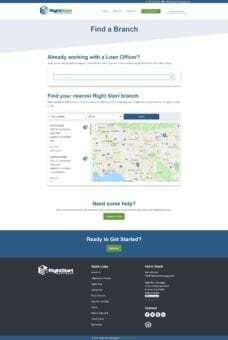 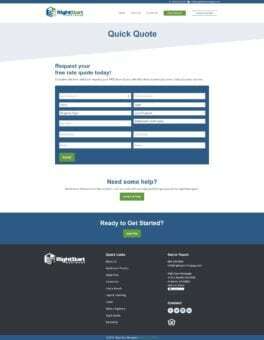 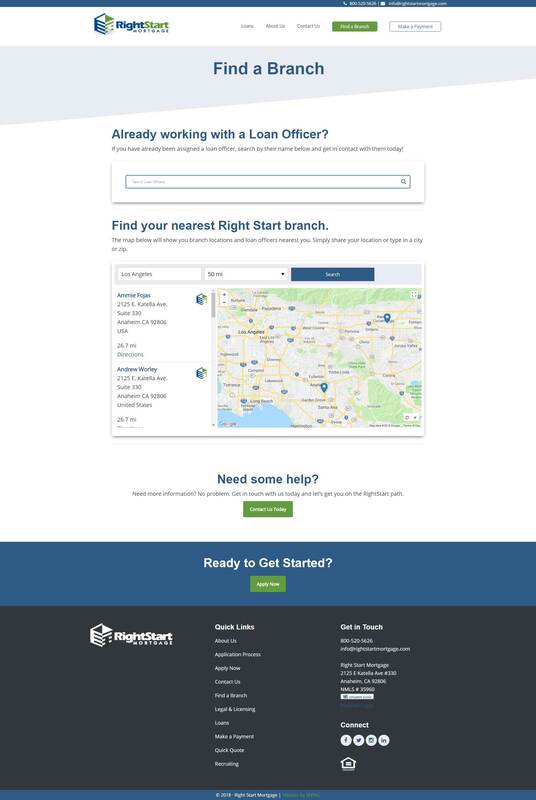 We started out by making it easier than ever for people to find loan offices and officers near them. 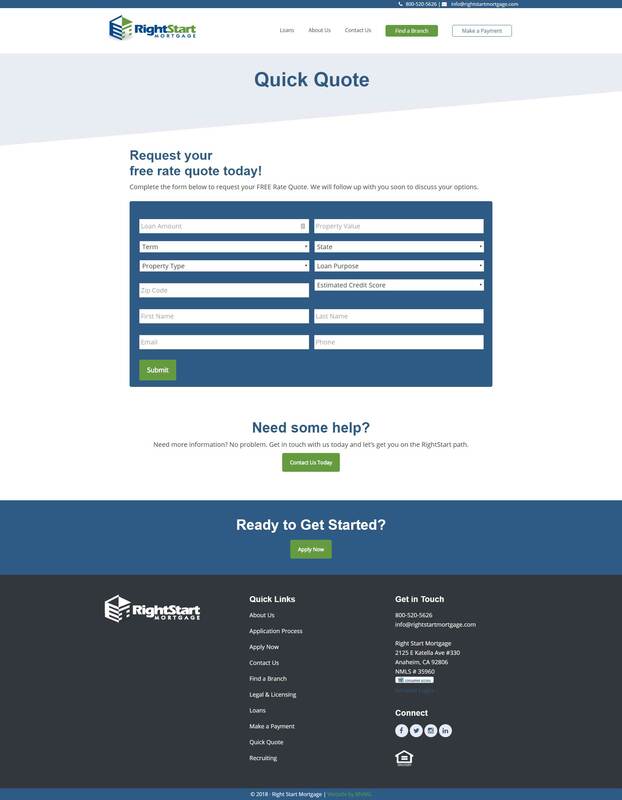 With their new easy to use systems Right Start is now able to help people find what they need quickly so they can buy more mortgages!